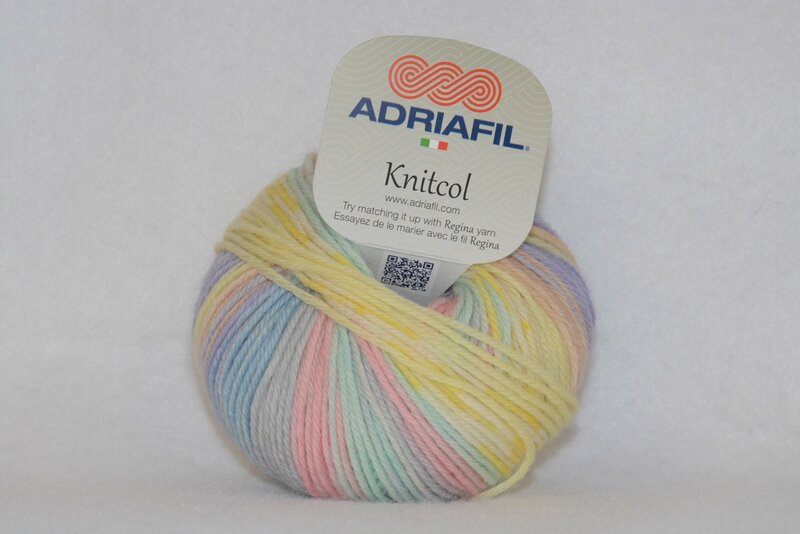 Knitcol is a multi-colored, self-striping and patterning DK weight yarn. It contains 125 meter (approx. 140 yds.) 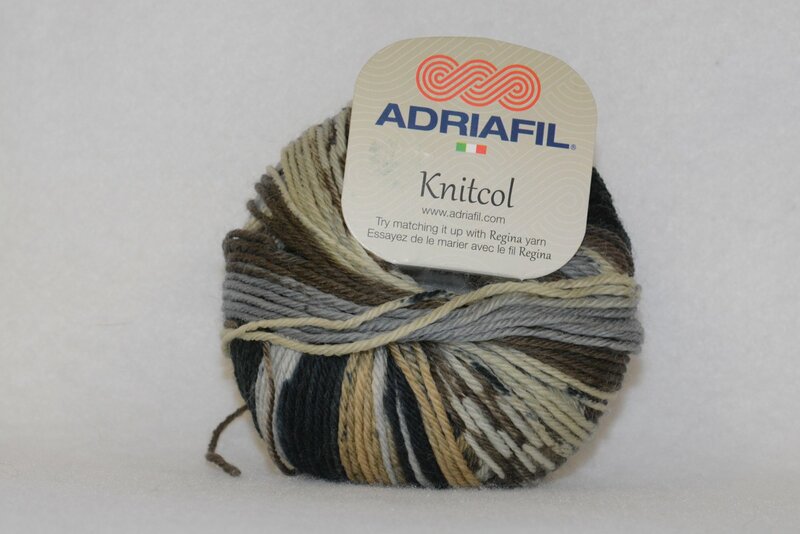 Knit on a US 7, the gauge is about 20 sts. and 29 rows to 4 inches. Machine wash cold and gentle, tumble dry low.